Bake It Easy with Tenderflake and Make Easter Goodies! 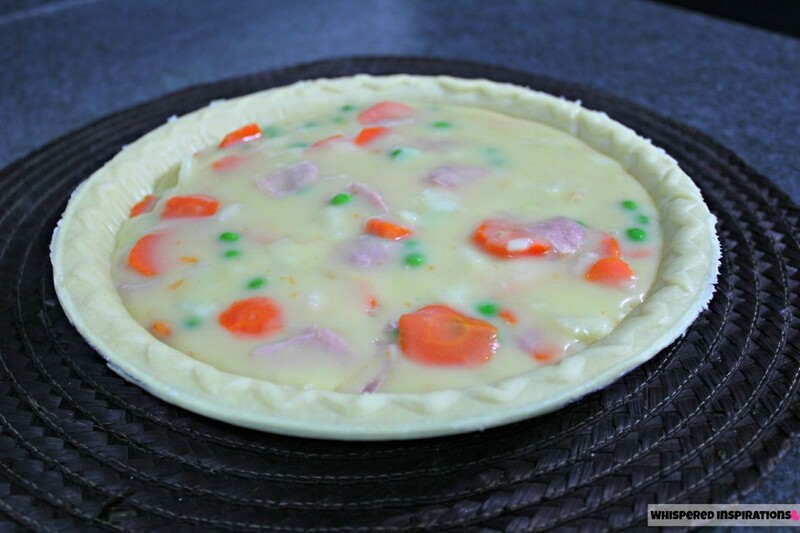 Nothing says Easter to me more than a good Ham and Cheese pie, stuffed with delicious in-season carrots and peas and sliced potatoes. Tenderflake is a go-to, especially when you’re in a pinch and want to have delicious pie, whether it’s a sweet one or something that is a meal in itself. This crust tastes just as good as your Grandma used to make and with the time they will save you, you’ll have more time to spend with your relatives during the holidays! Because well, that’s what it’s all about! Nothing like great company and good food! 2 lucky Whispered Inspirations readers will win 4 full price Tenderflake coupons to create their own Easter masterpieces, be sure to enter BELOW! 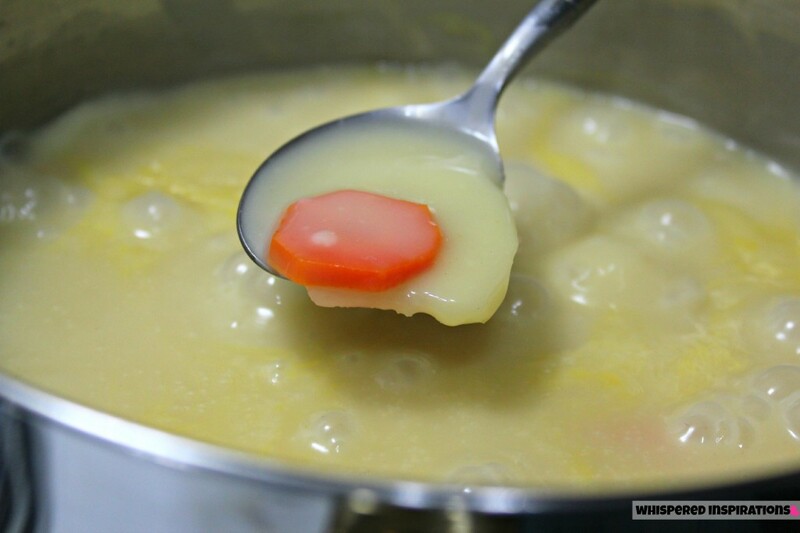 Add the broth and cream into a pot at medium heat. I sliced the carrots in rounds and thinly sliced the potato as I would to make scalloped potatoes. You can choose to chop them into smaller chunks. But, we prefer a chunkier filling. 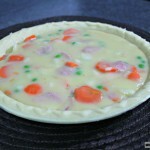 Add salt and pepper to your liking and then add your carrots and potatoes to the filling first. This is so that they boil to perfection before you add the peas that have less cooking time. 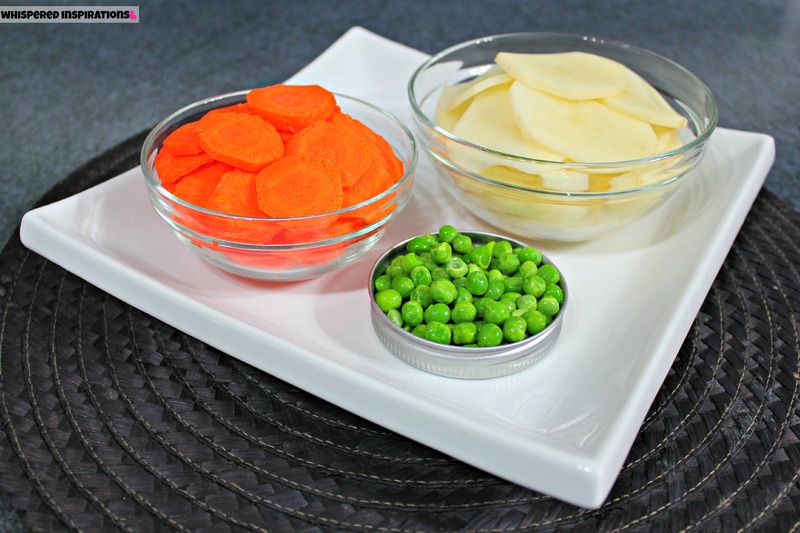 Once our potatoes and carrots are tender, you can add the peas and the ham to the mixture. 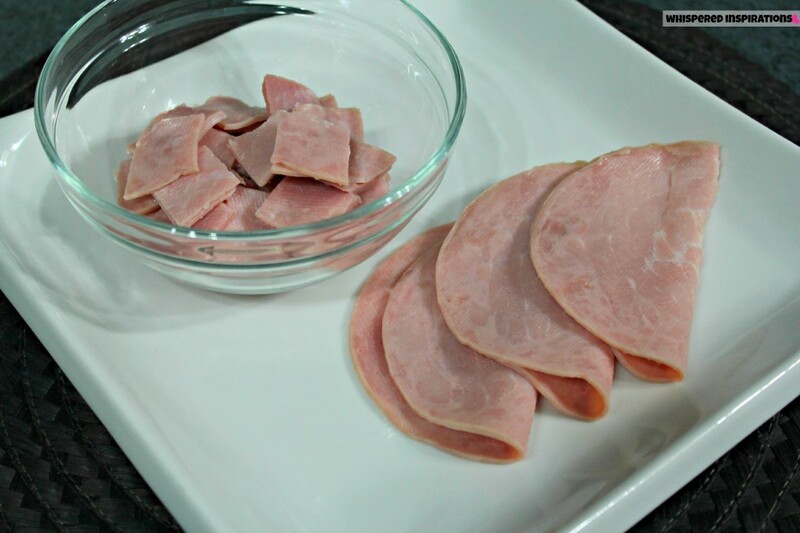 I chose Honey Glazed Cooked Ham and used about 1/2 cup when sliced. It’s up to you how much ham you like in your pie of course! Your pie filling should be ready to go after you’ve simmered the mixture at low heat with the peas and ham, make sure to stir frequently so that it doesn’t burn. After the mixture simmers, take the pot off the heat and wait until almost cooled. Add a cup of your favorite cheese, I used Colby Jack because it is Hubby’s favorite. But, you can use whatever cheese you like. This makes for a great melty surprise underneath the pie crust and it is so delicious. One of my favorite parts as it tastes divine with the Tenderflake crust. Place the second Tenderflake pie crust right on top of the pie as to cover it. Pinch the edges to make sure that your filling stays inside where it’s supposed to! 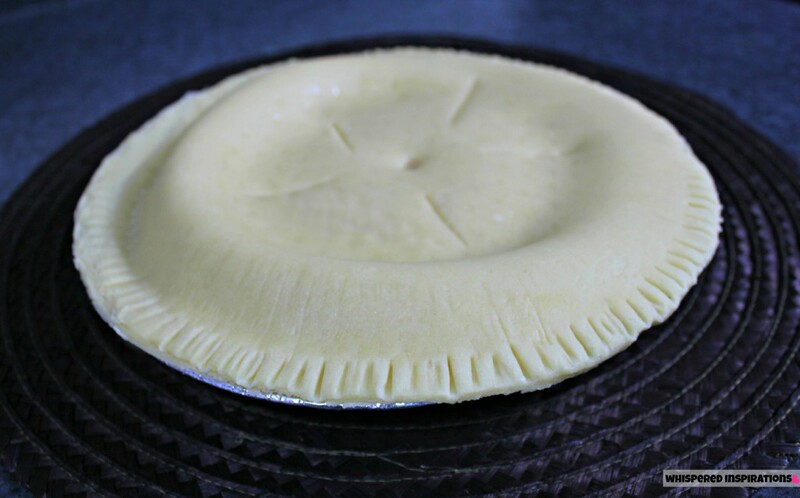 Make five vents in your pie and poke a hole in the center. This is to ensure that the steam can escape and your pot pie doesn’t swell or burst! I used a knife to make the slits and a straw to poke the center. Bake for about 30 mins or until golden brown and ENJOY! 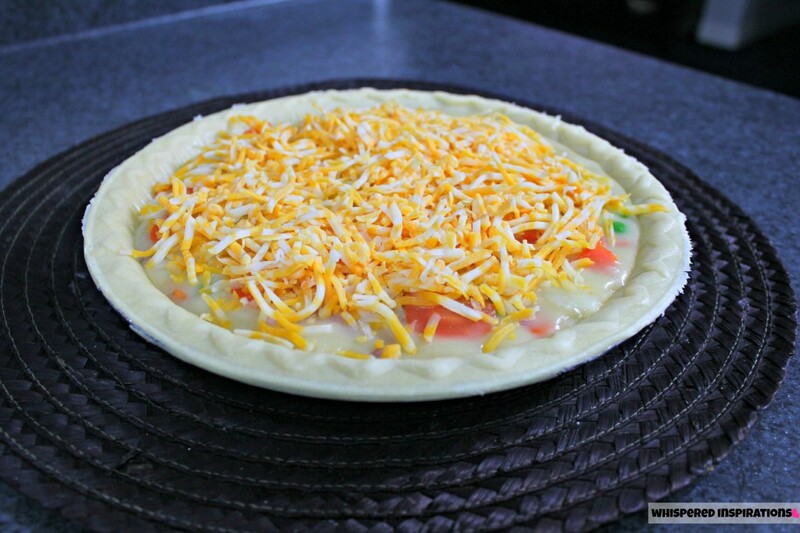 Top It and Prepare for the Oven! Nothing Like a Sweet Ending! I absolutely love these tarts, they don’t last very long in our house and we always share with my parents because my dad especially loves them. 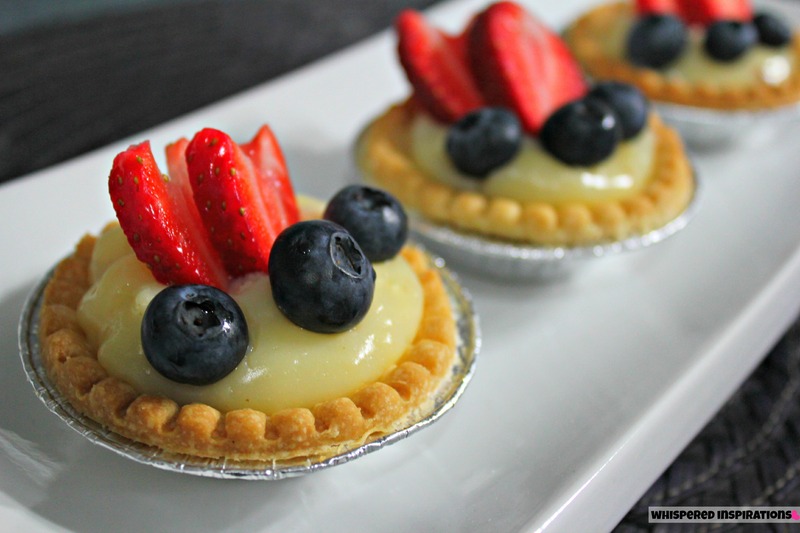 Want to know who’s recipe makes these delicious Coconut Cream Fruit Tarts? Take the 1/2 cup of sweetened coconut and spread it on a baking sheet and bake at 350 degrees until golden brown. Follow the instructions on the Tenderflake box to pre-bake your tarts. Make sure to stir often so that it doesn’t burn. Mix your cream, egss, vanilla and stevia in a pot and bring to a boil over low heat. Once the mixture is boiled, add your 1/2 cup of toasted coconut. 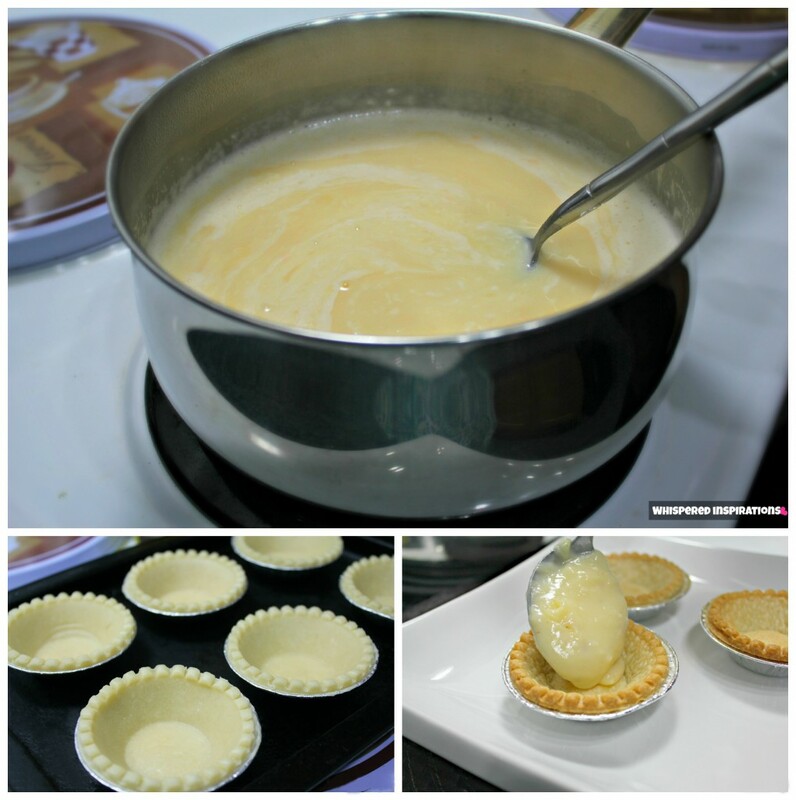 Once cooled, spoon in the mixture into the Tenderflake tart shells. Put into the fridge so that mixture sets. 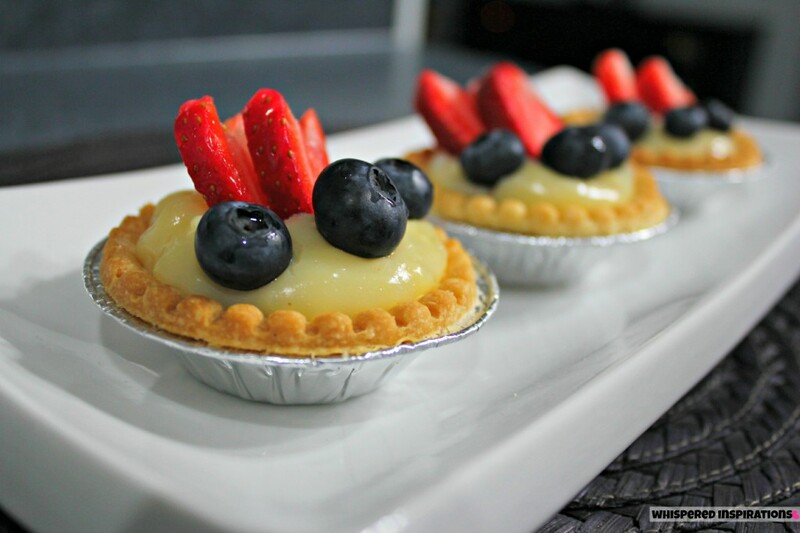 The custard should be firm and not runny, once it is firm, you are ready to top it with the blueberries and strawberries. I hope you all enjoy Easter and you can be sure that Tenderflake can make your holiday baking easy. 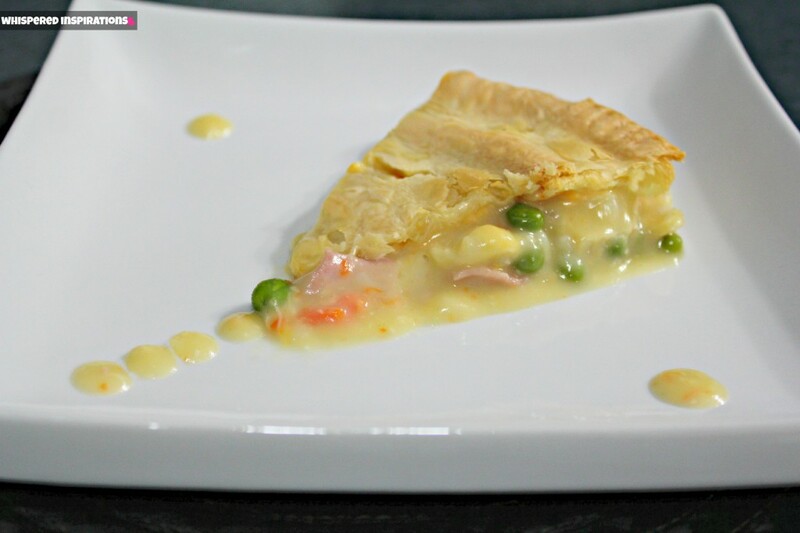 You can PRINT out the Tenderflake Ham and Cheese Pot Pie and Tenderflake Coconut Cream Fruit Tart recipes to use this Easter! Join Tenderflake for their 1st Tenderflake Twitter Party that is happening on March 26th, 2013 at 9PM EST! You can win 1 of 2 Kitchen Aid Mixers! You can always see new recipes on Tenderflakes’s FB and even more updates when you follow @Tenderflake on Twitter! If you’re a pinner, you can SEE the yumminess that @Tenderflake shares and pins for their followers! What would you make using Tenderflake pie crusts or tart shells? Note: I am a member of the MLF Connects Program. As part of my participation in this program, I have received compensation. However, all thoughts and opinions are my own and have not been influenced in any way. Please see Whispered Inspirations‘ terms. My husband would make his famous raisin pie! Its a family favourite! I tend to always make a pumpkin pie with Tenderflake, but I am not quite inspired with your delish looking tarts. My recent post Posterjack Introduces New Photoboard Prints! I would bake a coconut cream pie! I would make the Blueberry Cheesecake Turnovers. Great post Nance! I love checking out your foodie posts! I think I would go for a lemon meringue pie and a pecan pie…unfortunately I can't use Tenderflake cause they are not gluten free….but if they ever come out with a GF version, I would probably support the company all on my own! Lemon Meringue is the best! i would make a pecan pie! so good! I would make coconut cream pie for my husband – it's his favourite! Quiche, for sure. I love making quiche at the start of the week and taking slices to work for breakfast over the next couple of days. I love using tenderflake to make butter tarts! I would love to make the Strawberry Fields Pocket Pies they look delicious! I would make a classic apple pie. I would make pecan butter tarts. I could really go for an apple pie right now!! So yeah! i would make myself an apple pie! I would make a good old fashioned apple pie!! hmmm!! I want to make the Chewy Chocolate Fudge Pie! Chocolate fudge brownie pie would be my choice! Tenderflake 18 Mini-Tart Shells to make mini quiches as a great tea time snack! I actually made turkey pie with tenderflake puff pastry as my topping after Easter and it was awesome! I'd love to make a lemon meringue pie.